Once you have created your first map, you will proceed to your shopping cart. 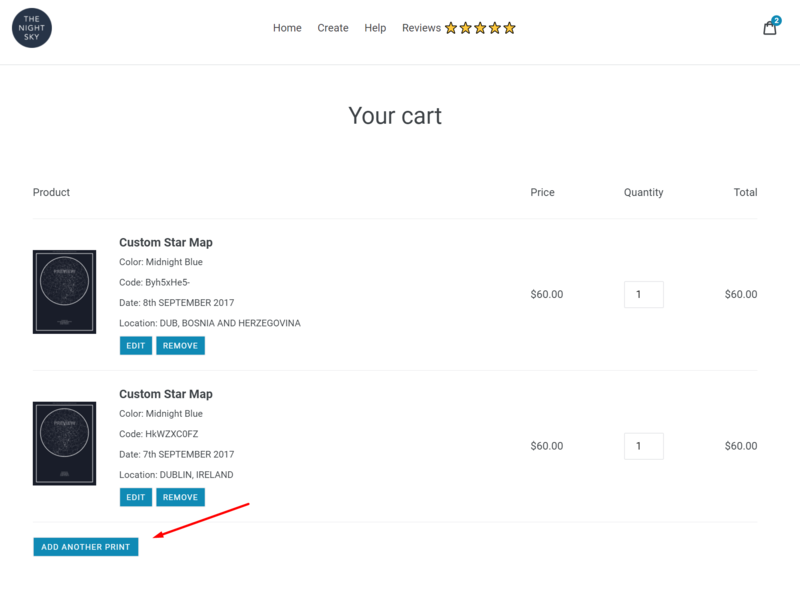 There is a button that will take you back to the create page to add another print. You can order as many as you want in one order.